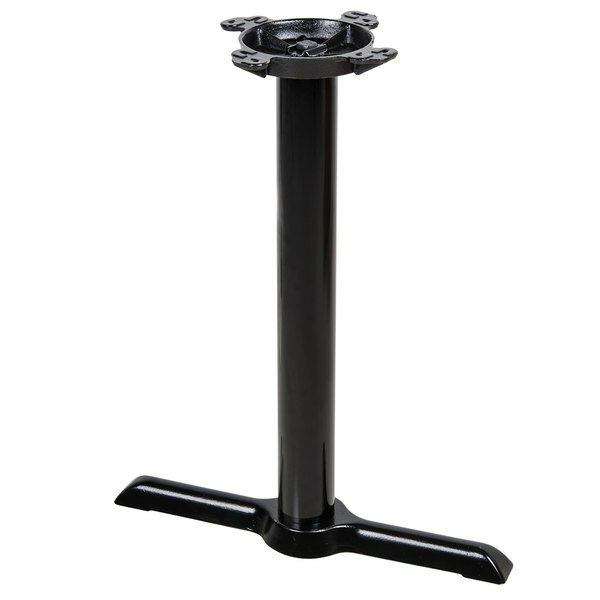 This durable table end base from Lancaster Table & Seating features a versatile black, powder-coated finish, perfect for matching any decor. It comes complete with a sturdy, cast-iron base plate and matching, welded spider. A strong, 25" x 3" steel column will effortlessly hold your tabletops with superior steadiness. Two table bases required per rectangular table, one at each end. Includes four table top / base screws as well as two adjustable nickel-plated floor glides.